Om Prakash Rajbhar accused the ruling party of "raking up communally sensitive issues" whenever its shortcomings in governance are pointed out. Om Prakash Rajbhar has been critical of the BJP in recent times. 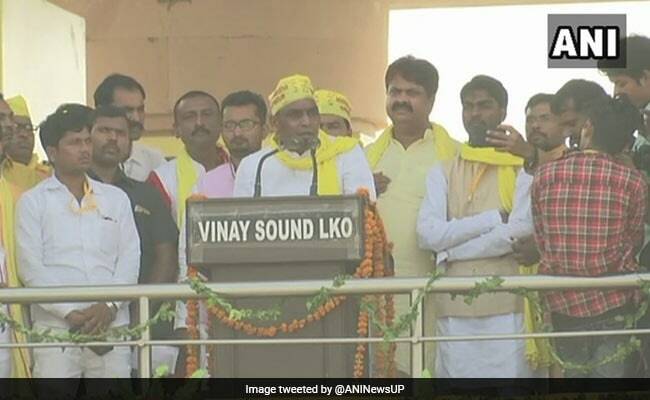 Uttar Pradesh Minister Om Prakash Rajbhar on Saturday accused the Yogi Adityanath government of using the Ayodhya temple dispute to divert public attention from its failure to uplift the poor, and threatened to quit the state cabinet unless it mended its ways. The Suheldev Bharatiya Samaj Party (SBSP) leader was blunt in his criticism of the BJP, despite being a partner in the ruling alliance. "I have not come here for a taste of power, I am here to fight for the cause of the poor. So, should I do that or stay a slave of the BJP? They haven't even allowed us to set up a party office," news agency ANI quoted him as saying at a public event. Mr Rajbhar also slammed the ruling party for "raking up communally sensitive issues" whenever its shortcomings in governance are pointed out. "I am in two minds about the BJP. 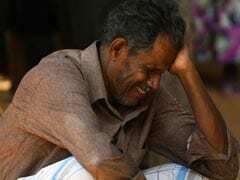 Whenever I talk about giving the poor its rightful share, they start talking about mosques and temples, about Hindus and Muslims," he said. This is not the first time Mr Rajbhar has taken on the ruling party. Last week, he had warned the Yogi Adityanath government of a public backlash in the 2019 Lok Sabha elections unless it instituted a reservation policy for the backward community. A few days ago, he questioned the logic behind the Yogi Adityanath government allocating a bungalow to estranged Samajwadi Party leader Shivpal Yadav when he had been asking for one for over a year. Mr Rajbhar, the minister for backward classes welfare in the state government, supports the Yogi Adityanath government in the state along with four SBSP lawmakers. However, his disenchantment with the ruling party has only grown apparent in recent months. He had said last month that the BJP would have a hard time returning to power in the state if the Samajwadi Party joined hands with Mayawati's Bahujan Samaj Party and the Congress.